BAMS Welcomes a New Manager! Katrina is a Registered Nurse and Counsellor who has gained several qualifications including Master of Nursing- Mental Health., Bachelor of Nursing and several Diploma’s in Counselling, Aboriginal & TSI Primary Health Care; Community Care, Social and Emotional Wellbeing & Dual Diagnosis and Problem Gambling Counselling. Katrina is currently studying the Master of Business Administration. Along with this knowledge Katrina has gained vast and varied experience in various disciplines of health including clinical nursing, emergency care, community health care, health promotion, management, counselling and early intervention throughout her extensive career in the health sector. Katrina has lived and work in the Far west NSW for the majority of her life and is a familiar face to many in our region. 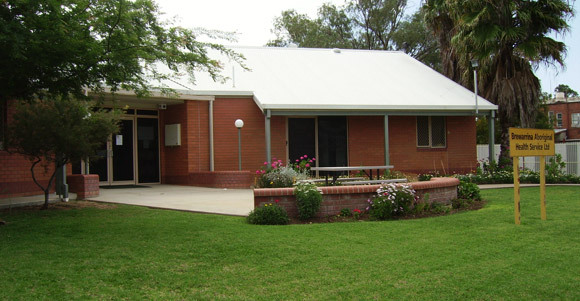 The Brewarrina Aboriginal Medical Service (BAMS) services the town of Brewarrina and the surrounding communities and small towns in the area, providing not only health care but also programs which focus on Aboriginal culture, youth, education, housing and all aspects of life in a remote rural community for Aboriginal people. BAMS is auspiced by the Walgett Aboriginal Medical Service Limited (WAMS) who accepted an invitation from the NSW Department of Health to oversee the running of the service to maintain a well disciplined Aboriginal Community Controlled Health Organisation (ACCHO). Before downloading the Express Plus Medicare mobile app, you need a myGov account linked to Medicare. This creates your Medicare online account. You can then download and use the app. Download the Express Plus Medicare app to your mobile device.